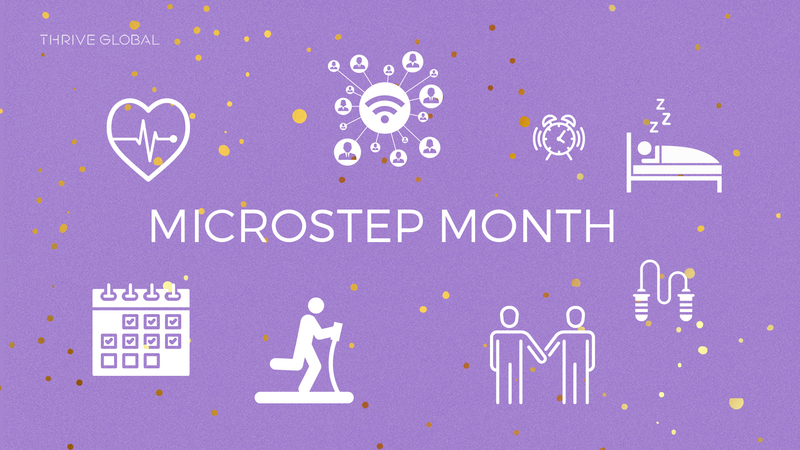 Watch what happened when Emily tried her Microstep for a month. Microstep: Making at least one meeting each day a walking meeting. I’m generally pretty consistent about working out and moving when I’m not at work — I go to the gym nearly every day, I walk to and from the train on my commute, and I also typically take a walk with my fiance after dinner each night that we eat at home. But at the office during my workday, it’s a different story. It’s not uncommon for me to realize at 6:30 p.m. that I’ve only moved to go to sit in a meeting in a different room, to grab a snack from the kitchen, or to run to the restroom. I realized that I needed to move more, and a walking meeting seemed like a great way to do that. I was hopeful that adding walking meetings to my routine would help energize my meetings and my days. I meet with each of my direct reports every week or every other week, depending on the person, and I hoped that walking meetings would provide a nice way of separating out that time and give us a chance to connect outside of just us sitting in a small conference room. So far, I’m liking the walking meetings a lot. Some of my teammates were I think a little surprised by the shift at first, but it’s a nice change in the dynamic. It’s fun to know that when those touchbases come around, I’ll be getting up and getting some time away from my desk. I missed a few of my walking meetings during the run-up to Thanksgiving. With the rush to get everything done, and with people heading out of the office, some of my meetings were canceled. I was sad not to have the time to take the walks, and I definitely felt that I was seated far too much on those days. As the days progressed, I got into a routine and I think my co-workers did too. I set alerts in my calendar to remind myself that certain meetings were walking ones. I think that actively changing the environment of our meetings has helped my colleagues and I change our conversations, too — they felt wider-ranging. I finally got to a place where I completed my Microstep every day during the week, and am planning on keeping it going. I love my walks — they’re a great change of pace, and have been a fun shift in my dynamic with co-workers. Overall, I was relatively successful with my Microstep. With the exception of a handful of days when I was out of the office, and one exceptionally busy day, I stuck to it consistently, and can now say it’s a habit. I really do love my walking meetings, and once spring comes, would happily continue them outside. Having time out of the office with co-workers was helpful in getting broader pictures of their workload, and ways we can strategize together. And enforcing a moment to get up, stretch, move, and not remain in my habitually slumped position at my computer is undoubtedly good for my physical health (and posture).